Objectives: Seek, Engage and Activate. 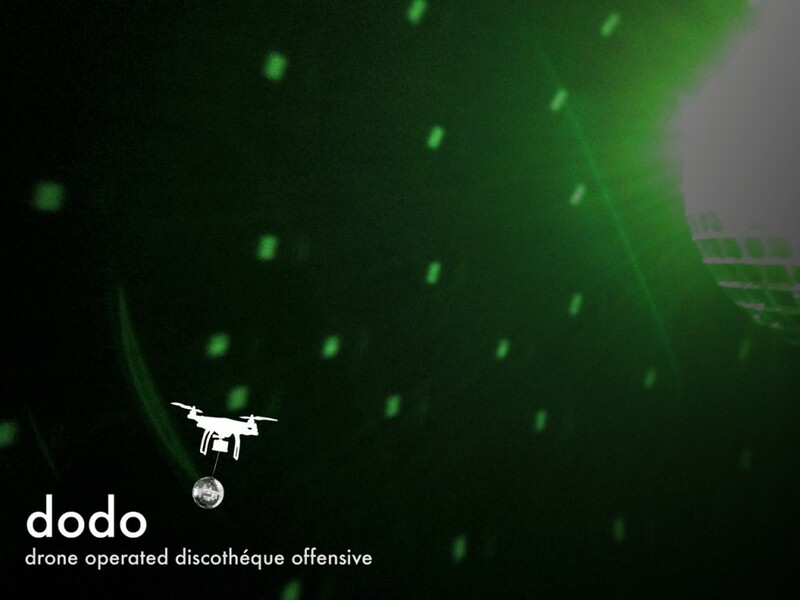 In the Revelry Revealed initiative (2014 -Current), the DODO drone teams have sought to identify, confront and (if necessary) instigate acts of revelry in public and private sectors. Using a range of overt and covert operational strategies (usually more overt than not) the field research teams have been able to uncover a range of coordinated and spontaneous acts of celebratory exuberance with the help of our “dangling mirrored ball of delight” a concept (not so) loosely borrowed from the deep sea Anglerfish. While these documents should probably remain classified-we think not. November 28th, 2014. Stay Tuned. Have a Quadcopter? Like to Disco? Submit your best images. Carlos Rosas, has been creating, exhibiting, and publishing new media based projects since the mid 90’s during his graduate studies at the Cranbrook Academy of Art. His creative research has been presented and exhibited nationally and internationally in numerous galleries, museums, symposia and media festivals. Rosas is currently Professor in Charge of New Media Art and Interdisciplinary Digital Studio (iDS) programs at the Penn State University.